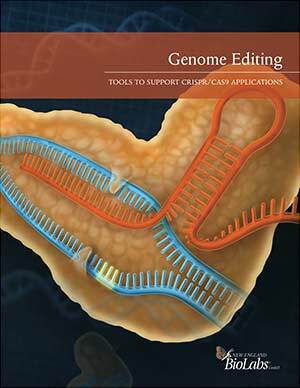 Genome editing is enabled by the development of tools to make precise, targeted changes to the genome of living cells. Recently a new tool based on a bacterial CRISPR-associated protein-9 nuclease (Cas9) from Streptococcus pyogenes has generated considerable excitement. This follows several attempts over the years to manipulate gene function, including homologous recombination and RNA interference. RNAi, in particular, became a laboratory staple enabling inexpensive and high-throughput interrogation of gene function, but is hampered by providing only temporary inhibition of gene function and unpredictable off-target effects. Other recent approaches to targeted genome modification — zinc-finger nucleases [ZFNs] and transcription-activator like effector nucleases [TALENs]– enable researchers to generate mutations by introducing double-stranded breaks to activate repair pathways. These approaches are costly and time consuming to engineer, limiting their widespread use, particularly for large scale, high-throughput studies. CRISPR (Clustered Regulary Interspaced Short Palindromic Repeats) and CRISPR-associated (Cas) genes are essential in adaptive immunity in select bacteria and archaea, enabling the organisms to respond to and eliminate invading genetic material. The simplicity of the CRISPR nuclease system, with only three components (Cas9 , crRNA and trRNA) makes this system amenable to adaptation for genome editing. 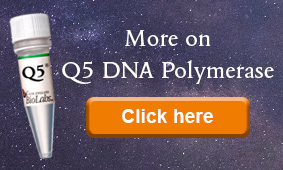 By combining the crRNA and trRNA into a single synthetic guide RNA (sgRNA), a further simplified two component system can be used to introduce a targeted double stranded break. This break activates repair through error prone non-homologous end joining (NHEJ) or Homology directed Repair (HDR). In the presence of a donor template with homology to the targeted locus, the HDR pathway operates allowing for precise mutations to be made. In the absence of a template, NHEJ is activated resulting in insertions and/or deletions (indels) which disrupt the target locus. For in vitro applications NEB offers recombinant Streptococcus pyogenes Cas9 Nuclease. Mutations in the tyrosinase gene block melanocyte pigmentation in zebrafish: 1-cell embryos were injected with 10 sgRNAs targeting tyrosinase and NEB 18 μM Cas9 protein. Categories of pigmentation at 3 days post fertilization. At 2nl injection volume, >90% of embryos completely lack pigmentation.